Founded in 1918, we are proud of the history of Noah Smith & Schuknecht as a Charles City law firm. Noah Smith & Schuknecht is a full service law firm based in Charles City and serving clients throughout Floyd County and northeast Iowa. The firm consists of three attorneys and two staff members. At Noah Smith and Schuknecht we are devoted to assisting you with any legal matter in a prompt, considerate, and professional manner. Noah Smith & Schuknecht is a general practice law firm that practices in many areas of the law, including but not limited to business matters, collections, family issues, probate, real estate, tax matters, trial and litigation, and wills, trusts, and estate planning. For a more thorough overview of what the attorneys of our firm can do for you, please visit our Areas of Practice. 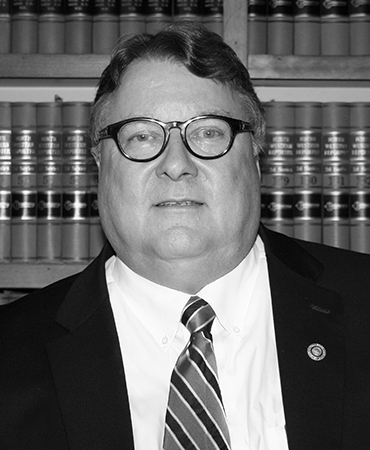 Ralph A. Smith has been practicing law in Iowa since 1976. He received his preparatory education at Carleton College and graduated from the University of Iowa College of Law. Mr. Smith was the Assistant County Attorney of Floyd County, Iowa during 1979-1990. He then went on to be the City Attorney of Charles City, Iowa from 1994 to present. 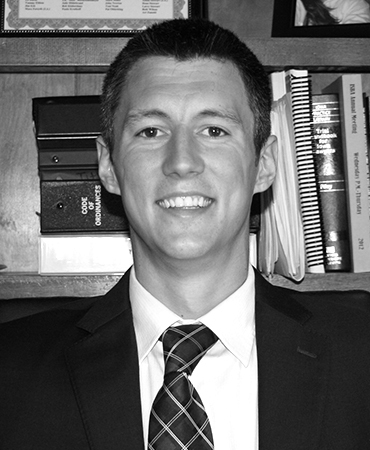 Mr. Smith is a Member of Floyd County and Iowa State Bar Associations. 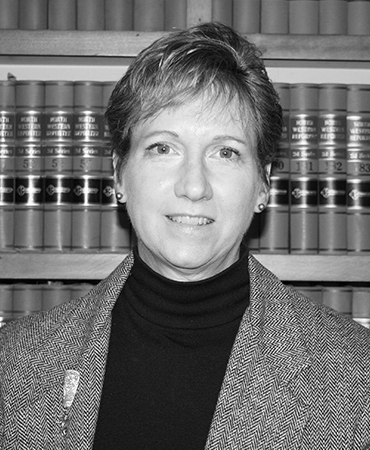 Cynthia Schuknecht admitted to bar, 1990, Iowa. Preparatory education, University of Northern Iowa (B.A., 1978); legal education, University of Iowa College of Law (J.D., with distinction, 1990). Member: Floyd County (Secretary-Treasurer, 1990-93; President, 1993-94), 2A Judicial District, Iowa State (Grievance Commission, 1996-2006; Judicial Nominating Commission, 1996-2002) and American Bar Associations. Brad Sloter is an associate attorney with Noah Smith & Schuknecht. He worked as a law clerk for the firm in the summer of 2012, and he began working as an attorney at the firm after being admitted as a member of the Iowa Bar in September 2013. Brad is a Charles City native who graduated from Charles City High School in 2006. Brad graduated from Coe College (Cedar Rapids, Iowa) in 2010 with a B.A. in Business Administration. He earned his J.D., with high distinction, from the University of Iowa in 2013. Brad is a current member of the Charles City Lions Club. We provide legal services to clients regarding business contracts and leases, business and corporate formation, including the drafting of organizational documents, and the maintenance of corporations and limited liability companies. We represent creditors in collection actions, including, but not limited to foreclosures. We assist clients with dissolutions, modifications, adoptions, juvenile court matters and child custody and support actions. We provided legal advice to the City Council, administration, and boards and commissions, prepare legislation, and prosecute cases in the municipal court. We assist clients with the administration of estates, trusts, conservatorships, and guardianships, including the preparation of all necessary tax returns. We assist clients with the purchase and sale of real property, and we assist clients with the preparation of purchase and lease agreements. We assist clients with tax planning, tax return preparation, and related services, including the preparation of federal and state tax returns for individuals, trusts, and estates. We represent individual clients and businesses in litigated matters from the time of filing through trial and appeal, if necessary. We assist clients with the preparation of wills, trusts, pre-marital agreements, general and limited powers of attorney, and medical powers of attorney. A communication to Noah, Smith & Schuknecht PLC by e-mail does not, by itself, constitute or create an attorney-client relationship. Unless such relationship has already been established, any electronic communication to the Firm is not privileged and may be subject to disclosure. Due to the non-secure nature of e-mail transmissions, please do not send confidential information to the Firm via e-mail as it may lose its protected status as privileged information. By transmitting an e-mail to the Firm, you acknowledge that the Firm may respond to you by e-mail or any other method of electronic communication and that future communications may be sent to you from the Firm by any form of electronic communication unless you specify, in writing, information that may not be transmitted electronically and electronic communication methods that may be not be used. The determination of the need for legal services and the choice of a lawyer are extremely important decisions and should not be based solely upon advertisements or self-proclaimed expertise. This disclosure is required by rule of the Supreme Court of Iowa. Memberships and offices in legal fraternities and legal societies, technical and professional licenses, and memberships in scientific, technical, and professional associations and societies of law or fields of practice do not mean that a lawyer is a specialist or expert in a field of law, nor do they mean that such lawyer is necessarily any more competent than any other lawyer. All potential clients are urged to make their own independent investigation and evaluation of any lawyer being considered. This notice is required by rule of the Supreme Court of Iowa.